My son Christopher is now 17. He is non-verbal and outwardly behaves in a way which would lead people to believe he lacked intelligence/understanding. 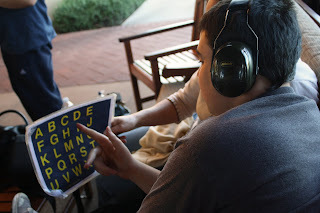 The Rapid Prompting Method (RPM) has enabled Chris to show us, through pointing on a letterboard, that he is a creative and intelligent young man. 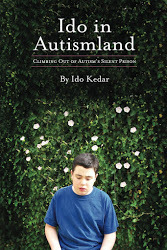 Ido has been an inspiration to us – his book particularly helped me to understand and to discuss with my son the issues he faces with his motor control/purposeful movement. When people see students like Ido using his iPad independently it is only natural that they aspire to getting their own children to this stage as quickly as possible. There is often a lack of appreciation of the amount of work that may need to be done before getting to that stage. People say to me, “Why don’t you just get Chris to type straight onto a laptop?”- if only it was that simple! It is important to understand that the amount of time it will take to develop the pointing/typing skills will vary greatly between students and, as Ido has already explained in his book, the belief of the people who surround the student will also have a huge impact on progress. I am sharing parts of our journey here primarily to help give some more perspective on this skill building process as, for us, it has taken a long time and is still a work-in- progress: — We first saw Soma in 2011 for six RPM sessions (and have seen her each year since then). Chris started pointing on the 3 large stencils and each day we saw how Soma built his skills through verbal and air prompts until he was able to point on the single A-Z stencil. We were also able to observe other students who were at different stages of RPM – some who had more motor challenges than Chris – some were already using iPads. It was clear that everyone had their own rate of progressing. These first sessions were all a bit of a whirl wind. 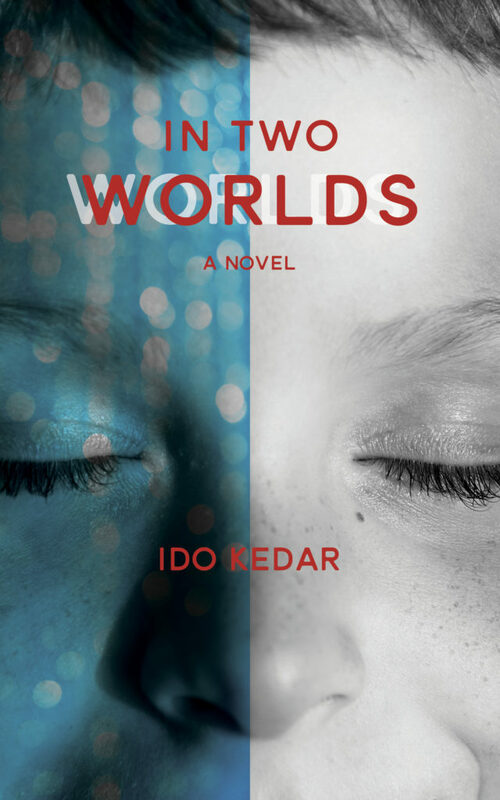 At the time it was difficult to fully appreciate exactly what Soma was doing and why – as a parent you find your emotions run high and it is hard to detach yourself and analyze what is happening. It was hard to replicate Soma’s success at home. Chris was ‘all over the place’ – how had he been able to have a conversation with Soma? I had a small team of people working with Chris and we realized that we needed to first build our own skill levels before we could help him to move forward. How did we do this? – by analyzing and studying the videos of the sessions : how did Soma pass the pencil? What angle was she holding the board at? etc, We transcribed word-by- word Soma’s sessions –looking at how she phrased her questions and how she gave verbal prompts. Then we practised, filming ourselves, writing up our sessions in detail and giving each other feedback – continually setting improvement goals for ourselves. Our learning never stops – constant analysis needs to happen even now as issues are always coming up e.g. Chris may spend time with his hand wandering around the board before getting to the letter he wants. When this happens we need to work out how to help him with the skill of getting straight to the letter. One aspect of RPM which I feel is particularly important to appreciate is that it works using academics. Learning the skill of accurate pointing on a letterboard would be exhausting and tedious without a context. The teach/ask part of RPM lessons not only provides intellectual stimulation by giving Chris interesting information but also, when he is giving us ‘known’ responses, we can identify his motor challenges and the issues/skills we need to work on. We present a wide variety of age-appropriate topics – history, biology, physics, poetry, current affairs, art. – Once we had built up our skill levels on the stencil it was time to push Chris forward onto the laminated letterboard. This was after six months of practise on the stencils – (three sessions a day) and it was gradual transition – sometimes just a few letters on the laminate. At first we held this vertically and gradually began to tilt it. This process will vary greatly with different students -some need lots of ‘mirroring’ from one board to another, others can transition in a few sessions without a lot of help. When you find a way to hold the board that works for your child at an angle that suits their ability to point accurately and have open communication it would be easy to stop and think you have achieved your goal. However this will always leave the child reliant on a skilled facilitator – I am always looking to move Chris on to the next skill to enable him to eventually become fully independent. – So five years into our RPM journey Chris is currently pointing quite confidently on the laminated letterboard when it is held nearly horizontally. 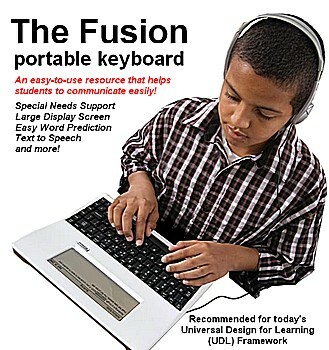 He can also point on a QWERTY keyboard which is held at a slight angle. He still needs verbal prompting to ‘keep going’ and his tolerance can vary greatly from day to day (he is also affected by some ongoing health issues). We are working on his independence by mirroring words to either the laminate or keyboard flat on the table or held by him. I have learnt that it is not a great idea to compare Chris’s progress to others – e.g. 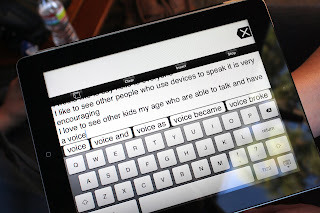 some students can easily move from one board to another, some have the ability to ‘match’ so can easily touch a letter on the laminate and then on a keyboard. Chris, on the other hand, has to learn this all through muscle memory so requires continual practice and repetition – and lots of verbal/air prompting. I have helped other students to get started with RPM and learnt that every student is different and will progress at their own rate – so there is no rush. Over the years we have done lots of skill work outside of the RPM academic sessions. I believe that all of these things also contribute to his improving letterboard skills. Skills have included physical exercises (including participation in Special Olympics events), horse riding, playing games, learning to draw, helping around the house. him how to step over a hurdle. Then we have to practise, practise, practise and practice until he has the muscle memory to enable him to move onto the next skill – running over the hurdles (he can do this now!). I believe it is possible to teach him anything – but it will take longer than for other people. IT HAS NOT BEEN EASY. EVERY DAY I HAVE TO PRACTISE. How do you feel about using the keyboard/ipad? IT IS HARD TO LEARN NEW SKILLS. I AM SLOWLY IMPROVING BUT IT TAKES A LONG TIME. What Chris said above I can equally apply to myself. I am constantly learning with him, developing my own skills and know that I still have so much to learn. Some days it seems that the journey is insurmountable – but breaking it into small achievable goals makes it more manageable – one day and one step at a time! I will post films of me using my iPad soon. It is starting to feel natural to use it, but I hate when the camera is on. At first I get so nervous I make simple mistakes, but thankfully I relax eventually. I love the game Temple Run on the iPad. I am addicted to it. Ha ha. I remember I used to hate games but I love this. Well, this is a lot better than forced drills of playing Candyland. Man, was that insipid. I love improving my scores and getting better. The technology is so awesome today and it helps me in life. 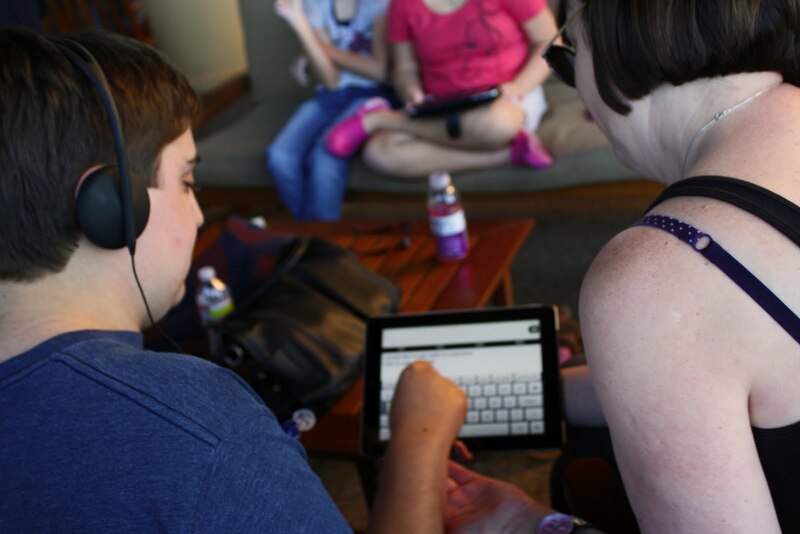 The world of non-verbal autism is changing thanks to assistive technology. 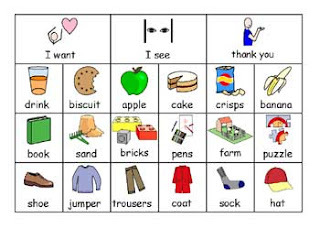 When I was small, the best I got as a communication tool was PECS pictograms. For those not familiar with PECS, it is a system of basic needs communication and it looks like this. In recent years, new devices have flourished. I started communicating on a letter board, a low tech way to point to letters. I still use this method often because it is fast, portable, and if I mess up a board there is no loss of expensive equipment. Here are some types of letter boards. And mine has a math side too. 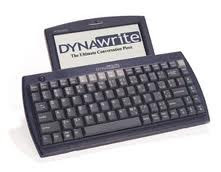 Now I have been using a dynawrite also with word prediction and voice output. or an iPad. 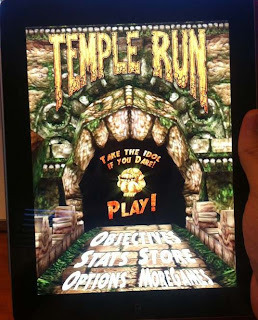 Recently many non-verbal kids I know switched to iPads and like it. It shows their work in stored memory which is good for school. The thing is, any method involving letters needs to be taught because autism limits the motor planning to do typing or pointing clearly. None of us learned this skill in school. We all went to someone who had to patiently teach us how to express our thoughts in this modality. 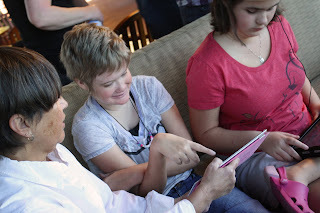 Then our moms worked really hard with us at home. The journey to communication is long and hard and starts with the opening of a door.